SGA Live is the showcase event within the printing and publishing industry. On Thursday 7th March 2019, SGA Live returns. With a new line-up of guest speakers covering relevant industry-related topics and networking forums allowing our guests to share their thoughts on publishing matters that have a direct impact on them. With a new Central London venue and keynote speaker details to be revealed imminently, SGA Live 2019 should not be missed. Click on the image below to see brief highlights of SGA Live in action. “A well balanced day with some excellent sessions and a good networking opportunity.” C.R. “The go-to event, for those involved in the ever-changing world of physical communication platforms.” R.S. 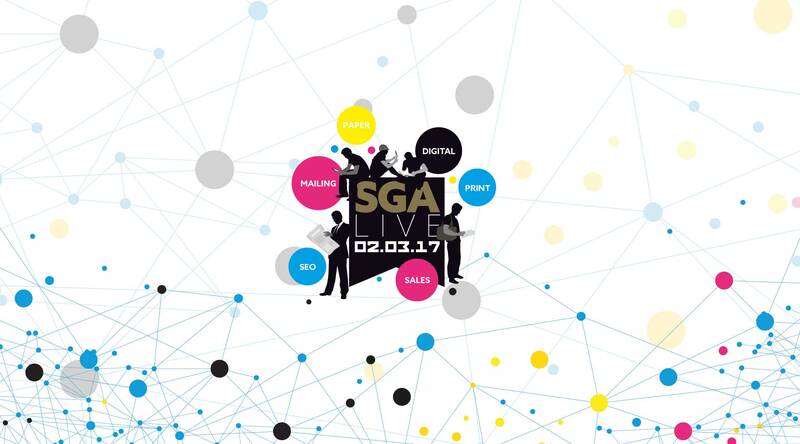 “SGA Live provides a unique opportunity to collaborate with peers in the publishing and print industries. It is useful to share best practice, debate topical issues and explore the latest developments affecting our ever-evolving sector.” R.M. “There are a dwindling number of events where the print industry can come together to meet and discuss trends and issues. This is a great forum generously hosted by S&G.” R.S. Please email ben.powell@stephensandgeorge.co.uk to reserve your place.